Five of the seven counties that make up the official Florida bay scallop harvest are in Natural North Florida–Levy, Dixie, Taylor, Jefferson and Wakulla. And what a year 2016 has been! The harvest started in June, and quick boat limits (see www.myfwc.com/fishing for regulations) were taken. And even after Hurricane Hermine slammed the coast over Labor Day, snorkelers willing to look a bit deeper in the tannin-stained water were able to pick up quick limits. While this year’s season is over, and the Big Bend is patching up from the storms, locals know that the tidal surge did a great job of scouring the bottom, allowing for new growth this fall and next spring. That means, if you can believe it, an even bigger scallop harvest in 2017 for anglers leaving Suwannee, Horseshoe Beach, Steinhatchee, Keaton Beach and St. Marks! 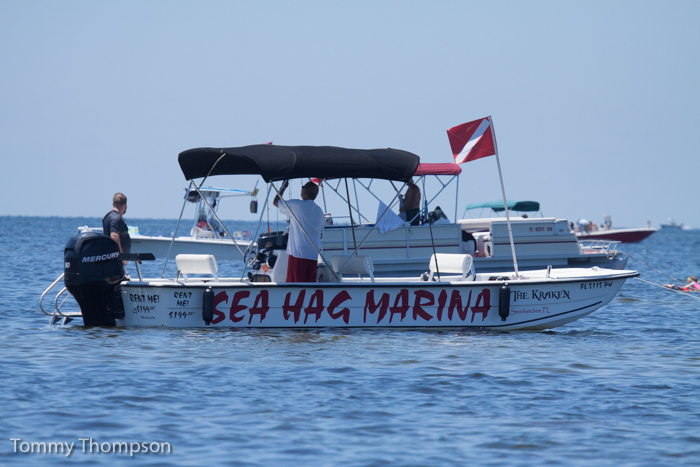 Take your own boat–or rent one at Steinhatchee’s Sea Hag Marina. They’re big, roomy, and fully equipped for a day on the water! Snorkeling for scallops in the gin-clear water of Florida’s Big Bend makes for lots of family fun–and some darn fine eating–once they’re cleaned. 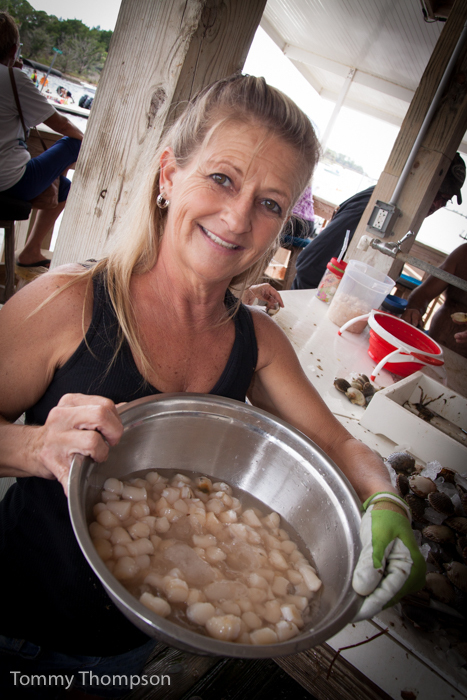 Many Big Bend Marinas and communities offer scallop shucking services. Carol Morrow is the head shucker at the Sea Hag in Steinhatchee! Scallops can be consumed raw, cooked by vinegar and lemon as ceviche, over pasta–or just plain fried. In any case, they’re delicious. 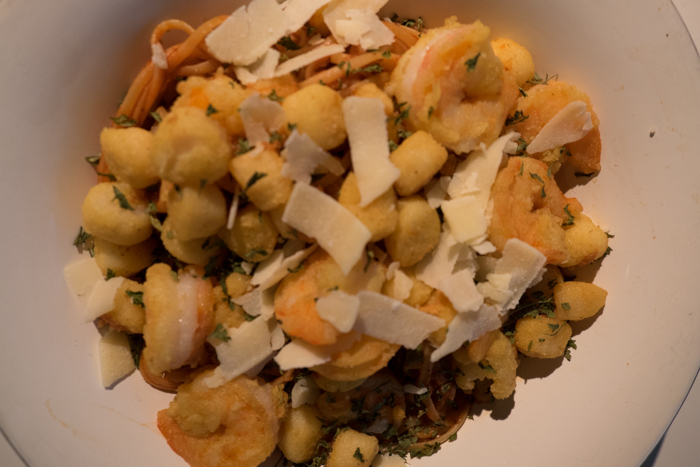 Scallops…just plain fried–with a few shrimp, over pasta and tomato sauce!